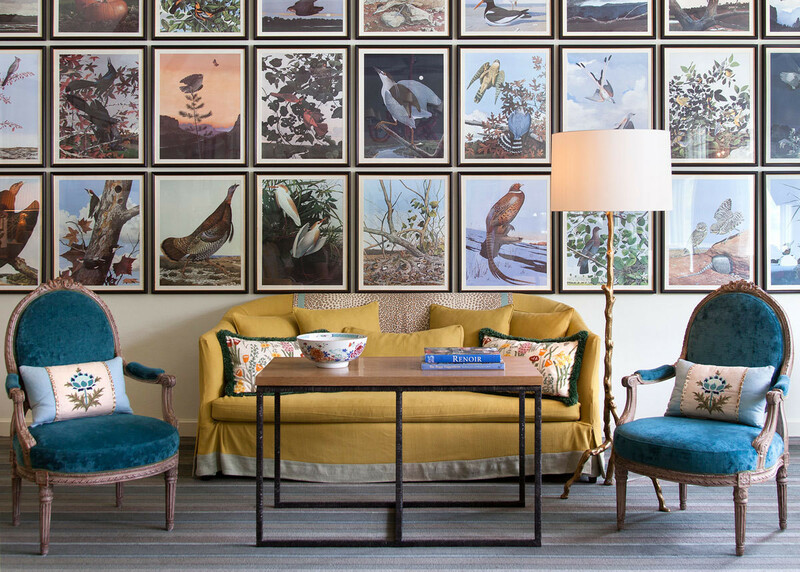 "Of Birds and Texas," Audubon-inspired prints by Scott and Stuart Gentling—on loan from owner Mike McAdams's personal collection—in the Lake Room at Lake Austin Spa Resort. 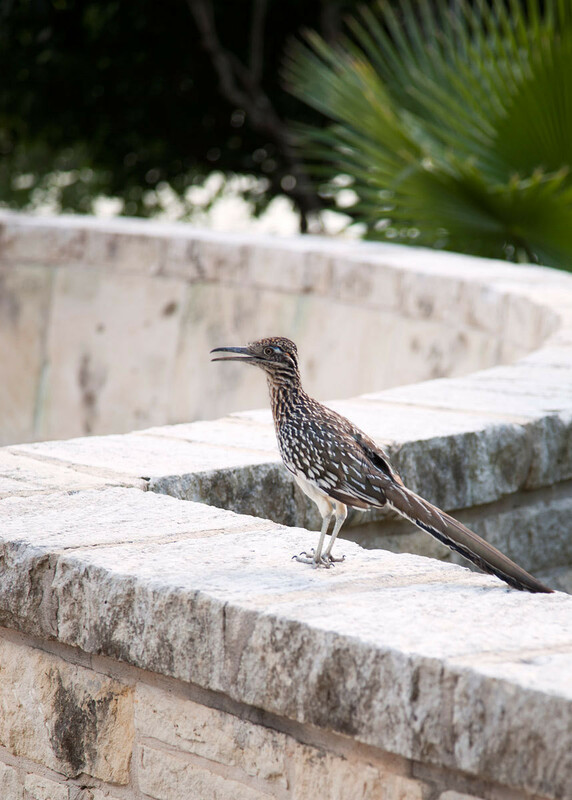 A lone roadrunner surveys the scene near the spa's outdoor pool area. Cowboys and nudists aren’t known to be particularly discerning when it comes to interiors. So it’s a wonder, then, that a diehard design lover saw anything worth saving in a former hippie camp and working cattle ranch in the heart of Texas Hill Country. Even more surprising is that the rustic compound would become the foundation for the casually elegant Lake Austin Spa Resort. 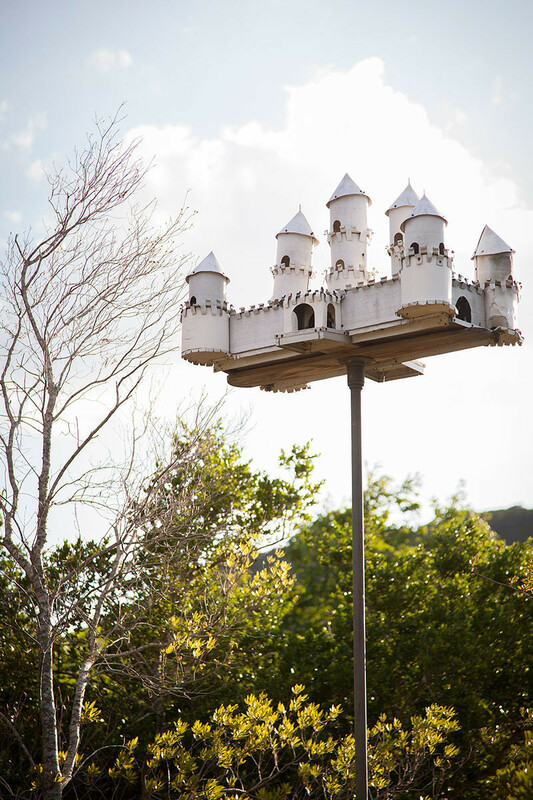 A recycled-aluminum birdhouse adds a whimsical touch in the garden. 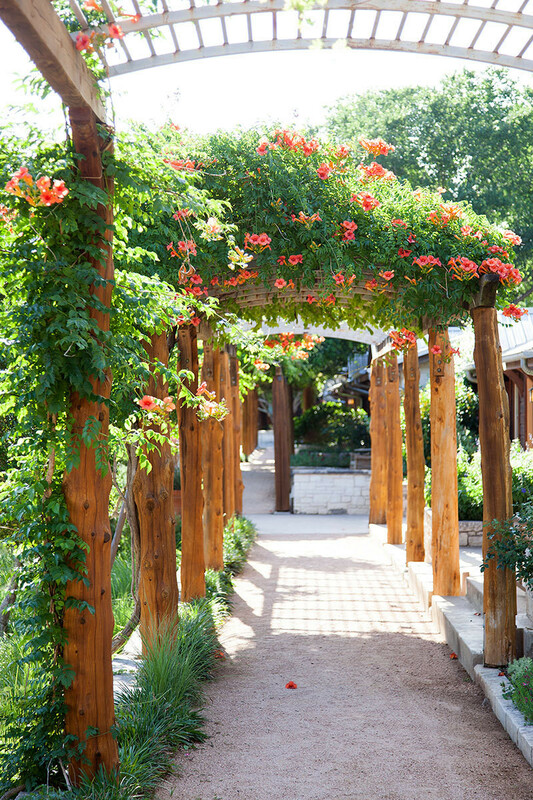 Gravel walkways draped with flowering trumpet vine connect the resort's guest rooms with public spaces. A 19th-century Venetian-crystal chandelier sits above an antique English breakfast table in the Garden Library. Someone once told me it felt like visiting an old aunt's house—and that's exactly what we were going for. Its banks lined with magnolia trees, the river more than satisfies McAdams’s primary intentions. A steady current provides a soothing backdrop that draws speckled roadrunners and small white cranes and helps nurture an organic garden on the shore. In keeping with the restful mood, interiors feel residential rather than commercial, with period antiques, designer fabrics, and artwork curated in collaboration with Dallas designer Julio Quiñones. “Someone once told me that it felt like visiting an old aunt’s lake house—and that’s exactly what we were going for,” says McAdams. 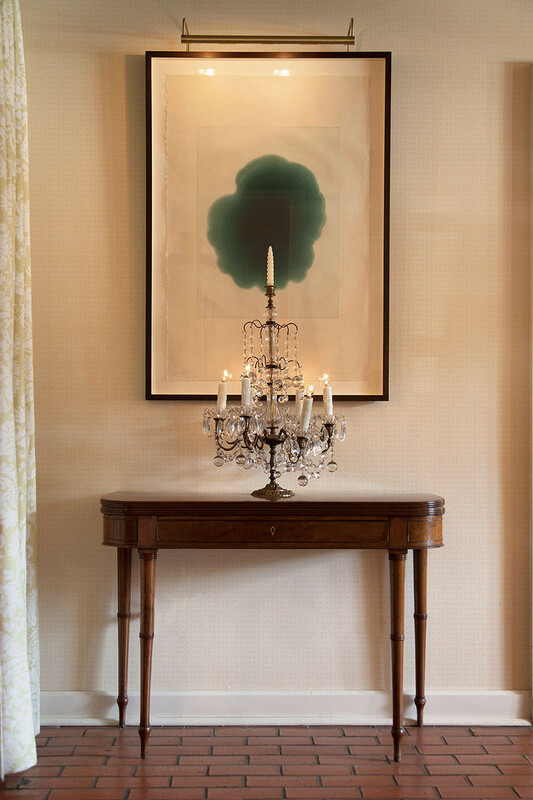 An antique console and bronze-and-crystal girandole lend Old World elegance to a watercolor painting by local artist Liz Ward near the front desk. 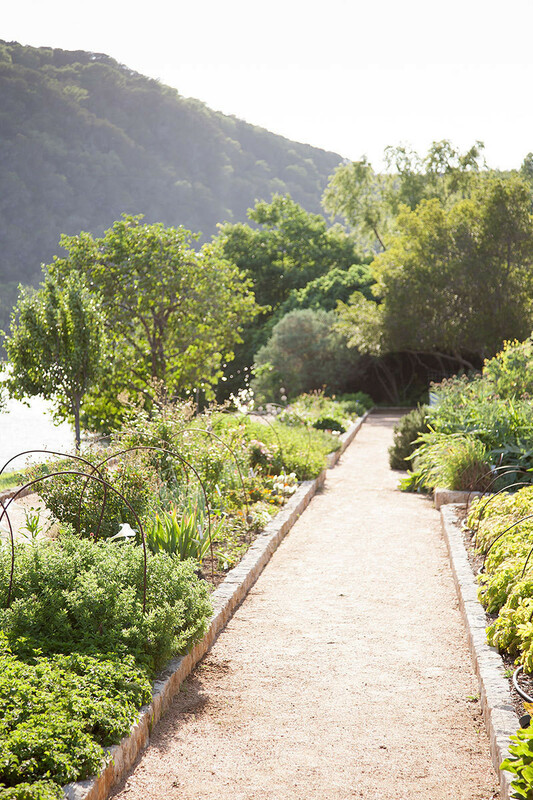 An organic garden provides fresh produce—including 28 varieties of basil and six types of potato—for the healthy meals prepared in the kitchen. That sensory connection is palpable throughout the resort grounds. Beyond a winding garden path just up the hill from the 40 guest suites, the spa area starts at a barnlike structure that calls to mind the rural sheds McAdams may remember from his boyhood at Journey’s End—albeit one with contemporary lines and a 75-foot lap pool. Guests await treatments in a salon known as the Blue Room, whose entrance is marked by a display case housing pieces from McAdams’s personal collection of cobalt glassware. 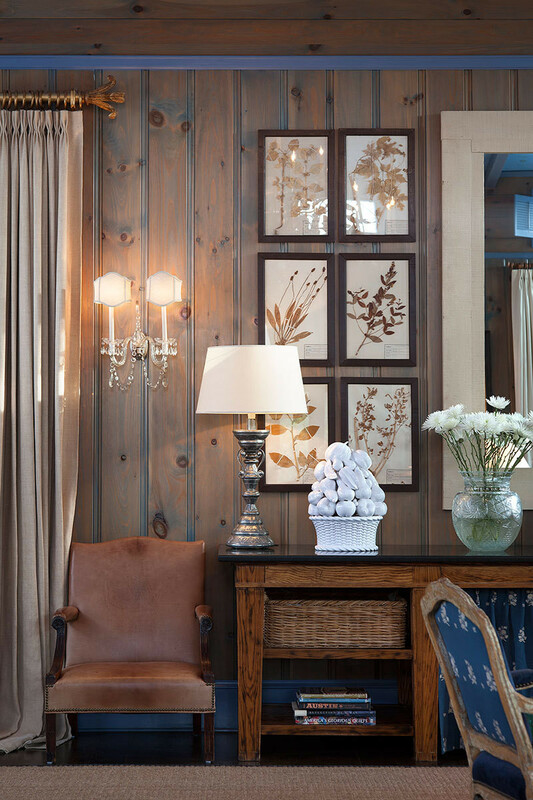 Heavy-grained wood walls are washed in a marbled azure finish (McAdams refers to them as “pickled paneling”); the ceiling and wood trim are painted in a powdery hue that mimics the sky. 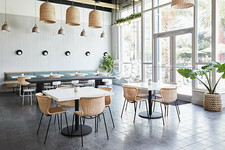 Furnishings include Arts and Crafts–era armchairs and Moroccan leather poufs sourced on McAdams’s travels to Europe, California, New York, “and every small town in between,” he says. But when it came to an overarching theme, the inspiration he needed was right there at the resort. 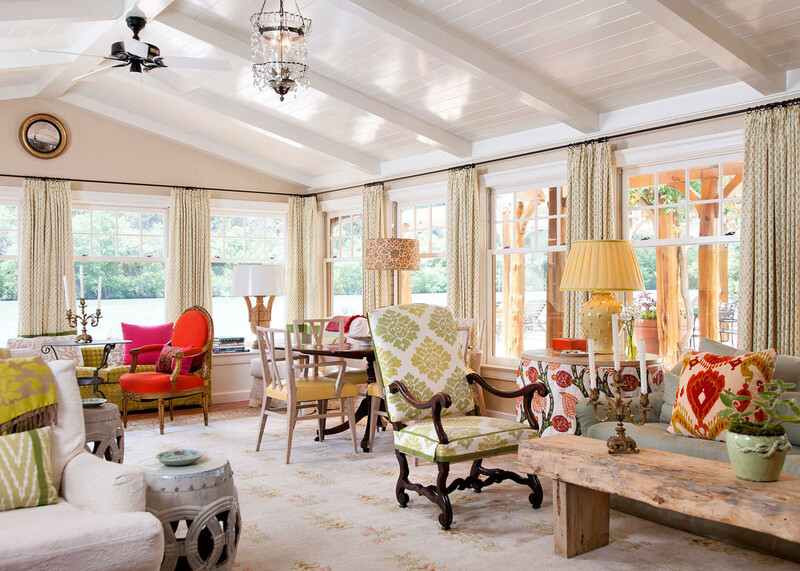 Backed by walls of windows, a blend of period antiques and cozy lake house–style furnishings creates an inviting atmosphere in the reception-area Living Room lounge. 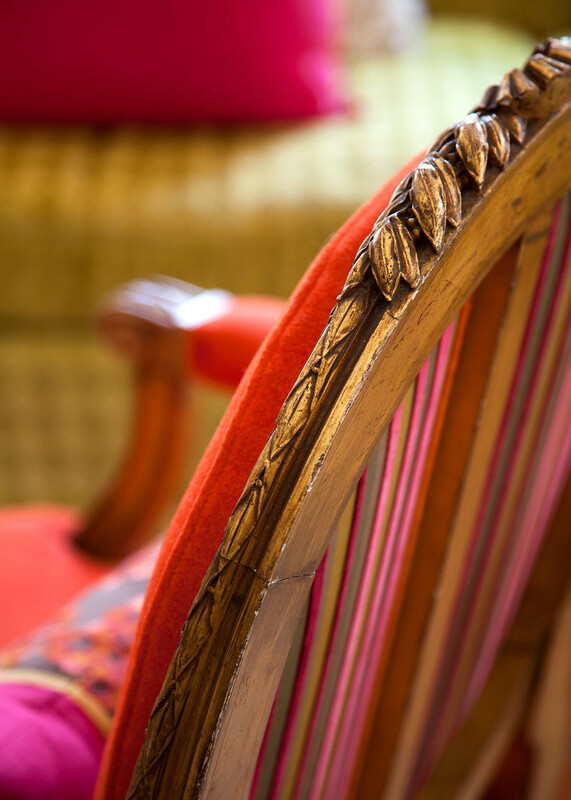 McAdams purchased much of the furniture on display at the resort from antiques dealers, including this carved-wood chair. “We tried to bring in nature wherever we could,” says McAdams of the studied indoor-outdoor sensibility, a feeling achieved thanks to expansive water views from all public spaces. In the Blue Room, the windows are dressed with 38 hand-painted drapery panels that, when drawn, re-create a 360-degree view of the property’s wildflower patches. (On the adjoining walls: framed 18th-century French botanical needlepoints.) The newly renovated guest rooms feature retractable patio awnings and a teal-and-sage color palette inspired by the river beyond. A selection of leafy French majolica tableware serves as art in the Garden Library. And in the Lake Room, a sitting area near the property’s yoga studios, a grid of 50 Audubon-style prints in saturated jewel tones complements the pair of velvet-upholstered 19th-century French fauteuils directly beneath them. In addition to the European antiques on show, there’s a focus on quirky American-made pieces. Oxidized-copper light fixtures by an artist in Pennsylvania greet guests in the reception area. A trio of red-white-and-blue quilts hand-sewn by a former blue-ribbon winner at the Texas state fair are framed in a spa hallway. In the Blue Room, a massive 300-part tin chandelier was disassembled and reconstructed when the sculptor who built it—and delivered it himself, driving from Albuquerque to Austin—couldn’t fit it through the doors. “I’m constantly inspired by what people create,” McAdams says of his assemblage of decor. “I have a photographic memory for that kind of thing. More than anything, I want to put something interesting in every corner.” Indoors or out, he’s certainly met his goal. Incorporating the outdoors doesn’t have to mean sacrificing style. 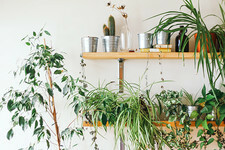 Read on for four ways to bring the natural world inside. A palette of soothing blues and greens channels land and sky, but anything outside can serve as inspiration, from the ruby hues on a flower petal to the gold tones on a butterfly’s wing. Stick to shades in the same color family and decide where you want to go bold (a throw pillow, a wall). 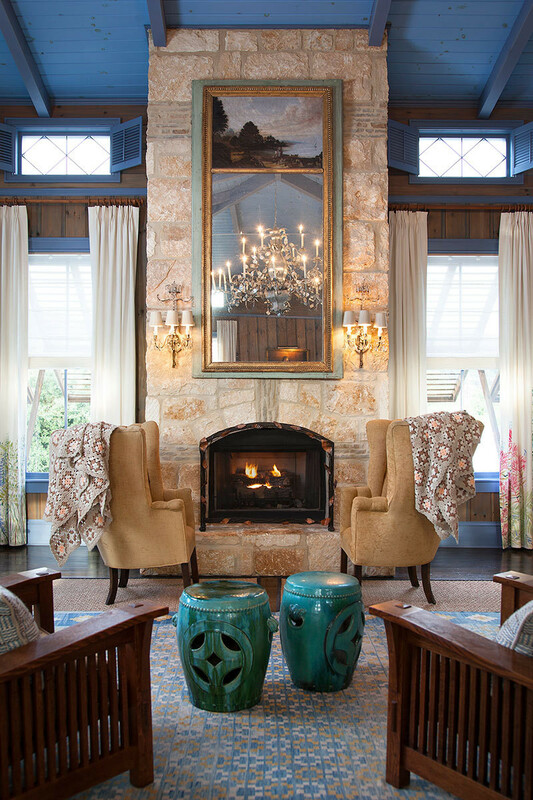 At Lake Austin Spa Resort, woven area rugs lend an earthy vibe to more polished interiors. To get the look, pair rough-hewn sisal, abaca, or jute with furniture in velvet, leather, tweed, and brocade. Invest in smaller decor pieces that beg for a closer look. The artichoke finial of a curtain rod, a dogwood-embroidered pillow on a sofa, a framed seascape in a bookcase: such details make for a visually rich space. An abundance of windows can blur the line between indoors and out. When that’s not an option, hang mirrors on the wall to reflect available light. Lake Austin Spa Resort also features retractable awnings on private patios to allow for both shelter and maximum sun.